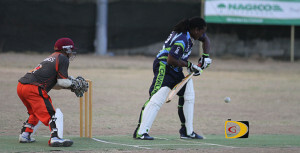 When four times champs Cavaliers faced defending champions Vikings during Sunday’s play in the LIME Twenty 20 League in Greenland, everyone expected a Cavaliers walk over against a seemingly ‘depleted’ Vikings Squad. However, the Vikings bowlers ploughed through the Cavaliers batting line up that had one of its most pathetic performances in the four times champs history, sending them to a humiliating defeat. “It was just a bad day—one of the worst I can probably recall in the batting—we just didn’t click at all,” Cavaliers captain Vishal Bharat pointed out. Vikings used Keelan Walker’s 63 and Roshan Hushman’s supporting 22, as the platform for reaching 195, after winning the toss and electing to bat but fell 15 runs short of their target of 220 runs. Cavaliers’ Teddy Nankashore bagged 3-43 from three overs. Nankashore led Cavaliers’ charge with 72 including 10 fours but had no support from the anemic line up, that fell apart in the middle and they were bowled out for a paltry 111, with spinner Johnny Bailey bagging 4-15. Hushman grabbed another 2-18. Vikings captain Vishal Munesar said they came with a plan because they knew Cavaliers would come hard at them and they inserted an extra bowler in the lineup. Royal Knights beat Police by eight wickets in the opening game. Police reached 177-7 in their 20 overs, thanks to Shem Stay’s 70 and Collis Fraser’s 69—but it wasn’t enough. Julian Sinclair snatched 3-16 and Winston Davis, 2-32. In reply, Royal Knights posted 178-2. Ryan Mangal had a knock of 49 not out and Richard Fredericks, 43. Police’s Dorian Auguste grabbed 2-41.